Why Progressive web apps are better options for your startup? To survive and disrupt, startups first need audience-attention and love. Tech startups turn their ideas into applications aiming to resolve the perennial problems of daily life. When it comes to developing the applications, one big puzzle is to take it to your audience. Web vs mobile app. Native mobile app vs mobile web. Plenty of options are there to draw and convert audience. Here headache pops up. Mobile apps are the fad. But, going native app strategy, how can you ditch massive mobile web audience and fair amount of web users? 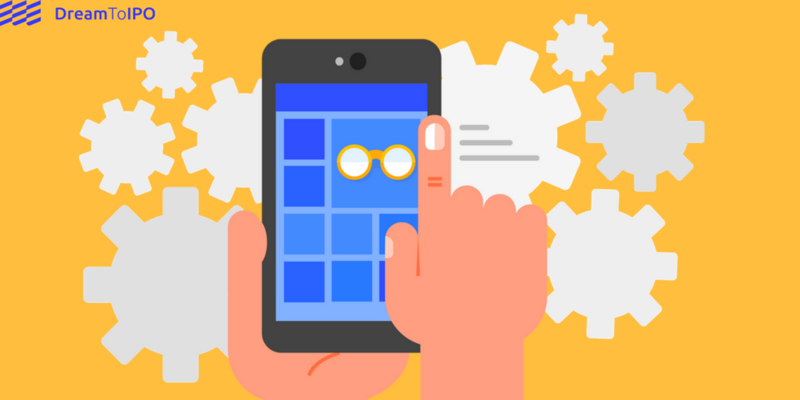 Don’t fret as you can play the balance game with the Progressive Web Apps. As per Alex Russell’s words, Progressive Web Apps are “Just websites that took all the right vitamins”. They are useful to users from the very first visit in a browser tab, no install required. As the user progressively builds a relationship with the app over time, it becomes more and more powerful. It loads quickly, even on flaky networks, sends relevant push notifications, has an icon on the home screen, and loads as a top-level, full screen experience. True to the term, these are the apps for every user regardless of their browser choice. Though they are not apps and not packaged and deployed through stores, they fit into the mobile, tablet and desktop for sure. The progressive web apps are blessed with the service workers. They work even in offline and low-quality networks. The progressive web apps are not scattered websites. They look like app and function too. The app shell model separates the application functionality from application content. One of the best perks of the Progressive Web apps is it’s served via HTTPS to prevent snooping which also ensures that the content is not tampered with. Progressive web apps support push notifications and help to re-engage the users. The progressive web apps are another website with better responsive features and app environment . One can easily share the applications (or the websites) via URL without the complexities of installations. To use a mobile website you just need a browser unlike the apps which has very high initial friction. You have not made any website neither you have drained out your money after the native apps. Playing smart you have developed a progressive web app. Now, you can catch the audience in multiple devices. Progressive web apps land your portfolio, services and online store before a large audience in their preferred devices. As the progressive web apps are responsive and compatible across screens, your startup can catch the audience on the fly, inside the cozy places, among the crowd-wherever you desire. Progressive web apps work both online and offline. Yes, you read it right. This is a huge benefit for your users and a great leverage for your business. Along with the multiple device compatibility, the Progressive Web Apps also allow you to catch audience across browsers. The Progressive Web apps will help you to be creative with your marketing endeavor and growth hacks. Push notification has proved to be a great asset for the marketers. One big secret of the Progressive Web Apps is that they can woo your audience. More one will use the applications, better they start adapting with the mobile’s environment. Who are reaching out to more audience with the Progressive Web Apps? Will you turn your ideas into feature-enriched Progressive Web Apps?